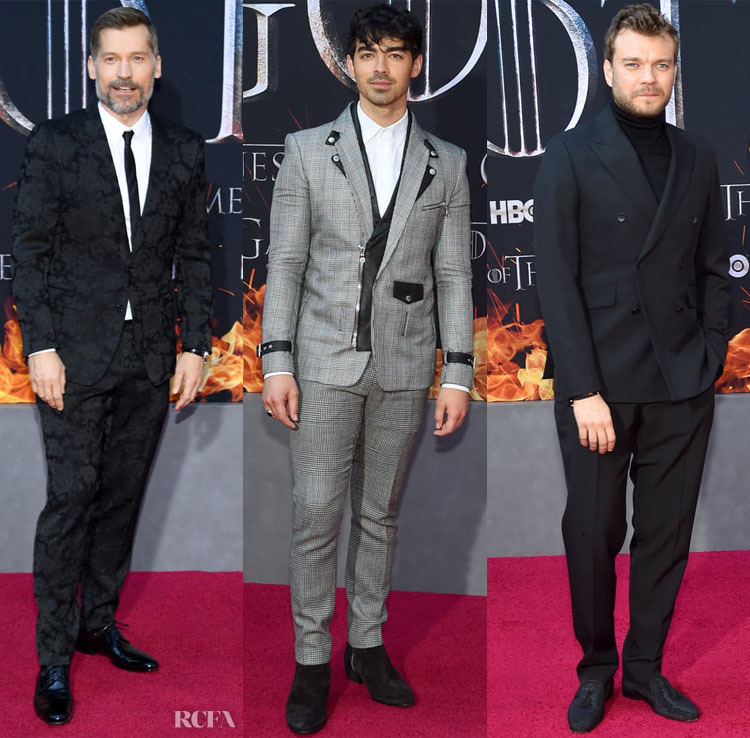 Here are a few looks from the gents who joined Kit Harrington on the red carpet for the ‘Game of Thrones’ Season 8 premiere in New York on Wednesday (April 3). Nikolaj Coster-Waldau: The actor who plays Jaime Lannister is always going to present a classic suit, but I loved how the floral-jacquard give this Dolce & Gabbana suit an intriguing twist. Joe Jonas: As you know, I’m all about menswear that presents break from the norm. But I found it hard to warm to this Balmain Fall 2019 look. Between some of the detailing feeling overcooked – that zipper area specifically – to the fit, this was a no from me. David Yurman jewels completed his look. Pilou Asbæk: I was drawn to Pilou’s look as I felt I needed a palette cleanser after Joe’s look. I was drawn to the relaxed fit and the double breasted jacket. Proof that simple should never be overlooked.